As an added perk, we don’t just supply you with a bonus list that explains which betting sites offer the best rewards, we also keep you up to date with the hottest promotions and the latest news. Our recommended sports betting sites offer a huge number of promotions and free bets, and these are often tied in with special sporting events such the FIFA World Cup, the UEFA Champions League or even the Olympics. Additionally, our news section covers the latest stories from the world of sports betting, both in South Africa, Ghana, Nigeria, the rest of Africa and beyond. With us, you can find out more about new online betting sites, special offers, odds on upcoming matches, and current events. We also compare the odds from the best sites in Africa, so that you can find the best deal when making your predictions. On top of that we are sharing the best online casinos in Africa and we also offer great casino guides for the beginners. as well as a closer look at betting in Arabic speaking countries. Anyone who is new to betting online most likely finds it difficult to register on a betting site to get their login details. African Betting Guide has made it easy for anyone who wants to find out more about how to bet online and we have created several guides that will take you through the process step by step. We offer complete guides to have to get your Bet9ja login, Betway login, Betin login and many more. Started as a physical betting shop several years ago, Bet9ja is now one of Nigeria's most popular online betting sites and has been around for several years. Bet9ja makes it very easy for anyone who wants to bet on from a computer or from their mobile phone. To get your Bet9ja login you first have to go to Bet9ja’s website, which you can do if you click here. It doesn't matter if you want to access Bet9ja from your computer or from your mobile, the sites smart system will detect which device you are using. When on the Bet9ja site just click on Register and fill in your personal details and you will soon be ready to bet online. If you want a registration guide, you can click here and you will be redirected to our Be9ja login guide. The most popular, and also most visited site, in Kenya, is Betin. Anyone who loves betting in Kenya has most likely heard about Betin, and most certainly made some bets with them - at least in the Betin shops. Besides the Betin shops, they also offer a great website for anyone who wanna make bets wherever they are, whenever they want. 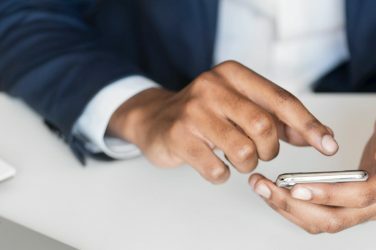 To get your Betin login to be able to bet from your mobile or computer you first need to register an account. To register an account and get your Betin login you can click here, and as soon as you are on the Betin website you click Register and follow the easy sign-up process. If you still find a bit difficult to register and get your Betin login, please click here and read our guide. One of the latest additions to the African betting scene is the internationally know betting site Betway. This highly recommended betting site has been around since 2006 and can now be seen on the biggest arenas in the world - as the main sponsor of West Ham United. It is very easy to get your Betway login, since Betway offers a great computer and mobile version. All you have to do is to go to Betway's website by clicking here. When you see the Betway site in front of you, just click Sign Up and you will be redirected to the registration page where you just have to follow the steps to get your Betway login. African Betting Guide has also created a guide on how to register your own account and get your Betway login details in a couple of minutes. If you interested in that guide, please click here. The traditional way of betting has always been in a physical betting shop, but during the last years more and more betting sites has introduced a much easier way of betting. Since almost everyone nowadays has a smartphone in their pocket both local and international, betting sites offer great opportunities for people who wanna bet from their mobile. There are many popular mobile betting sites in Africa and the most recognized sites are Bet9ja mobile, Betin mobile and Betway mobile. Obviously, plenty of other sites offers mobile betting, for example, 1XBET mobile and William Hill mobile, but the top sites are Bet9ja, Betin, and Betway. With a focus on the Nigerian betting scene, Bet9ja has developed an extremely user-friendly mobile version for anyone with a smartphone and it is super easy to login and start betting. The Bet9ja mobile betting site can be found here and as soon as you registered an account, you can start betting. If you do not want to register a Bet9ja mobile account, you can just choose the matches you wish to bet on and when you ready you can click Betslip and then click on the button where it says Book A Bet. With this option, you can print your betslip and take it to a Bet9ja shop and hand in your bet and pay. The Bet9ja mobile version is a great option for people on the run and wants to have the freedom to bet whenever they want. Many people who were betting with Bet9ja still prefers the old Bet9ja mobile version, which is faster and more simple - all unnecessary graphics have been removed to enhance the performance, no matter what phone you use. The old Bet9ja mobile is recommended to people who don't have a great internet connection or a new smartphone. However, the new Bet9ja mobile version works great as well. The Kenyan hotshot Betin also offer a great mobile version, quite similar to its Nigerian cousin - Bet9ja. It offers a very user-friendly layout for the visitor. On the Betin mobile site you can bet on any sport you find suitable, such as football, soccer, and even hockey. Just click on the Menu button and you will be redirected to the Betin mobile site with all the sports they offer. If you have a Betin computer login, this will also work as a login for Betin mobile. All you have to do is to click here and you will be redirected to Betin mobile site - and then you just have to login and start betting. If you don't have a Betin login, you can easily get your Betin mobile login by clicking on the button where it says, Register. Follow the steps, as previously mentioned, and you will soon have your Betin mobile login setup and ready to bet. If you want more info about Betin mobile you can click here and read more. With one of the most well developed and user-friendly mobile betting sites in Africa is Betway mobile, who offer their Betway mobile version to countries such as Ghana, Kenya, Nigeria, South Africa, Uganda, and Zambia. Betway been focusing on giving their users an easy to navigate site that doesn't use too much data and you can click here to get straight to Betway mobile site. The Betway mobile site focusing on the most important aspects of online betting, such as deposit money, finding the matches you want to bet on and to finally place the bet. No matter if you have a Betway login to your computer, it will also work on the Betway mobile site - your login and password will always be the same on all Betway services. To register for a Betway mobile login you can just login to the Betway mobile site by clicking here. Lotto has become one of the most popular ways of gambling in Africa and many local operators offering plenty of local jackpots and big wins. However, any person in Africa can now enjoy playing lotto on some of the biggest lotteries, such as Mega Millions and Powerball. The most popular way to play Mega Millions and Powerball is to register with theLotter, where you easily can stand a chance to win some of the biggest jackpots in the world. Take a look at the biggest betting countries in Africa below. 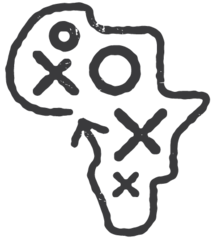 Over the last two decades, the African sports market has grown exponentially. In South Africa, online sports betting has been around for a good number of years, and there are plenty of betting companies in SA that cater to local customers. SupaBets is one of the best sites in Africa, but there are many others that welcome local customers such as famous Sportingbet and Betway. If you want to register and get a Betway login please click here. In South Africa, you can also enjoy playing online casino games, and a host of other gambling activities, such as lotto and poker. theLotter offers a great opportunity for its user around the world, even in South Africa, to with jackpots form Mega Millions and even Powerball. Online betting in Nigeria is hugely popular, and there are numerous betting sites that welcome local custom. Nigeria’s own Bet9ja, with their great Bet9ja mobile app, offers its services across the continent and there are many other betting companies in this region that offer a great range of markets and good odds. Another popular betting site that gained a lot of popularity in the last years is Betway, that office a great mobile app, a sleek website, and great payment options. Other popular betting activities in Nigeria is lotto - and by registering on theLotter anyone in Nigeria stands chance to win some of the biggest jackpots from well-known lotteries, such as Powerball and Mega Millions. Ghana has a rich history of sports betting and customers can enjoy world-class betting at European sportsbooks, where they can transact in local currency. Mobile and online sports betting are very popular in Ghana and there are plenty of sports and markets to pick from. Popular betting sites are Betway and 1XBET - both offering a great betting experience from either your mobile, tablet or from your laptop. 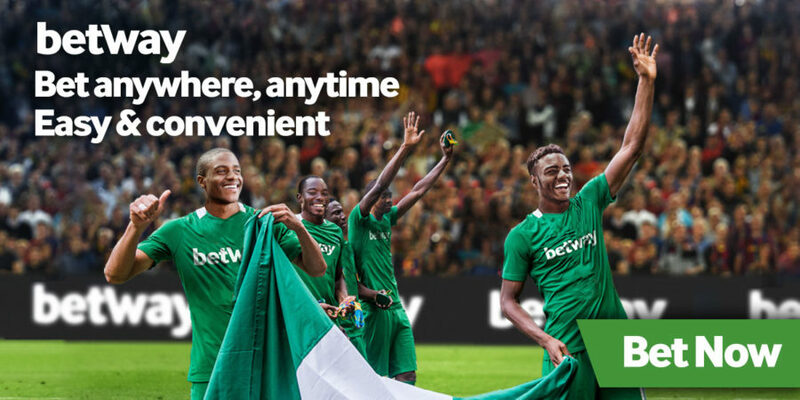 Betway Ghana, however, has gained lot alot of popularity since they launched and if you want or register and get your Betway login you can click here for more info. 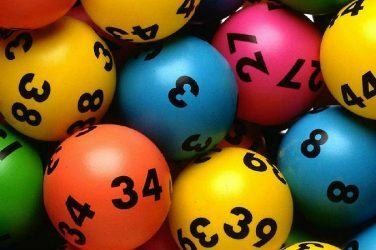 In Ghana lotto is also very popular and theLotter offer the people the opportunity to play at some of the most famous lotteries in the world. Betin is one of the largest, most prolific bookmakers in Kenya and the Betin mobile version is highly popular. If you want to know more about how to register and get your own Betin login, just click here. Betin is joined by a number of local and international betting sites that dominate in the African market and another popular alternative is Betway Kenya, that spent a lot of money on building a great betting site and a mobile app for people who want to bet online. Want a Betway Login? Click here! In Kenya, you can bet online, play casino games, enjoy virtual racing or play poker, as there is plenty of choices. It is also possible to play lotto online by registering with theLotter, - which you can do by clicking here. Uganda may have been a late starter in the world of online betting, but it now has access to some of the best betting sites in Africa. Customers in Uganda can access online and mobile betting, and online casino and lottery sites and there are plenty of payment option, the opportunity to bet via SMS and mobile apps to meet demand. Some of the most popular betting sites in Uganda is Betway and 1XBET, and these betting sites offer a great betting experience. If you wanna play lotto, theLotter give people in Uganda the opportunity to win jackpots from both the Powerball and Mega Millions. Always at the forefront of sports betting, Zambia has some of the most cutting-edge sports betting sites in Africa. Safe, secure betting is readily available and the list of available sports betting companies in Zambia is growing fast. Zambians can not only enjoy sports betting they can also access casino games and Poker. There are plenty of bonuses out there for Zambian's and the Betin Zambia bonus code is one of the best - do not miss out. Betway Zambia also has some quite great offers to check out. Tanzania has a rich history of online betting and several internationally known betting sites offer their services in this beautiful nation. If you live in Tanzania and want to make bets online, through your laptop or smart phone, you can click here to find the best online betting sites for. Such as Meridian Bet, Premier Bet and many many more.